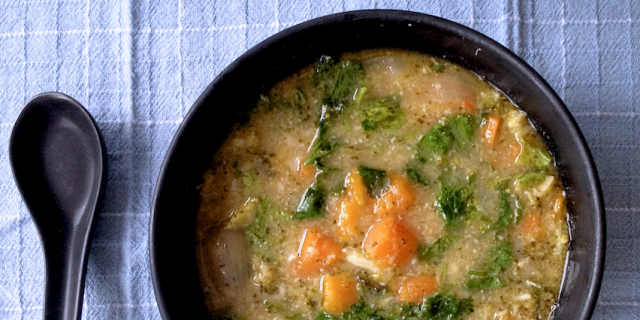 This Broccoli Coconut Sweet Potato Soup is delicious and very easy to make. I love the combination of sweet potatoes and ginger. The ginger and pepper gives this soup a nice kick and bring balance to the sweetness of the potatoes and coconut. A no-nonsense soup with wholesome ingredients that makes a great lunch or a starter. You can puree the soup in a blender for a smooth and creamy texture or serve it as is. Add the coconut milk and stir well. Season with freshly ground black pepper and sea salt to taste and with lemon juice and fresh cilantro.